Preventing feline infectious peritonitis means you have to understand what it is first. 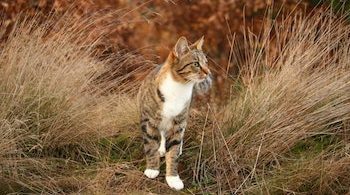 Feline infectious peritonitis, or FIP, is a totally misunderstood condition by most people who have come across it, including vets. To be clear, it is not infectious and it is not peritonitis. The feline bit is right! A more apt name would be Stress Induced Auto Immune Syndrome. Vets consider that the corona virus mutates to the FIP virus. But viruses, bacteria and other pathogens are never the cause of ill health. They are only the effect, the result, the outcome. So treating the effect will have limited, if any, positive influence. And likely to have a negative influence bearing in mind the strength and toxicity of the drugs. Preventing feline infectious peritonitis has the best prognosis as it can be a difficult condition to treat. That’s the problem with auto immune diseases. So prevention is better. To prevent something, you need to understand it. Let’s break down what stress means to us as well as a cat, who are far more sensitive than we are. Stress can come from anything that threatens our security either in the body or the mind. Physical stress can be short lived – ie a bad smell will make us move away from it thus avoiding problems, such as eating rotting food. Chemical stress can come from a drug (synthetic so foreign) or a toxin. We all have an inbuilt aversion to natural toxins. But the synthetic toxins, which so abound in our world currently, do not alert our bodies to dangers. However, they all cause stress to the body as it struggles to deal with them. 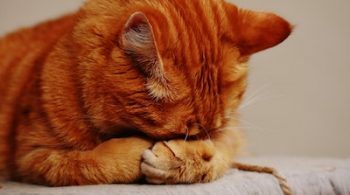 It normally takes perhaps three of these factors in a month to bring on feline infectious peritonitis, or any other chronic disease in a cat. Chronic disease is the deviation away from natural health caused by a cascade of harmful conditions. All man-made. Even then, the kitten tries so hard to maintain a level of health, but gives up after a few months. A kitten suffering the stress simply from too early weaning and removal from mother can develop upper respiratory inflammation and/or digestive issues. Treating these with antibiotics or other drugs will not address the cause, the stress, and are likely to increase the predisposition to FIP. Many breeders, vets and almost all shelters are inadvertently producing kittens with a strong predisposition to FIP. This is likely to develop after further stress from more veterinary drugs, poor nutrition and/or family stress. 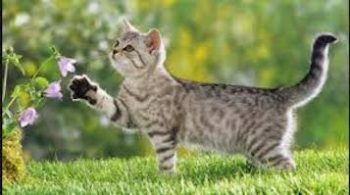 Having just adopted a new kitten, the way of preventing feline infectious peritonitis is to start a species specific diet and to use holistic health care, such as homeopathy. 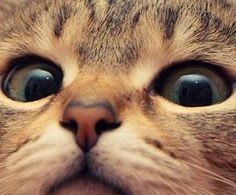 To treat an existing case of FIP, you need to change the diet and get immediate professional homeopathic support. An easily preventable, man made disease that is wreaking havoc on our feline friends.